You may have heard the news: Christmas isn't over yet. Yes, it is true. 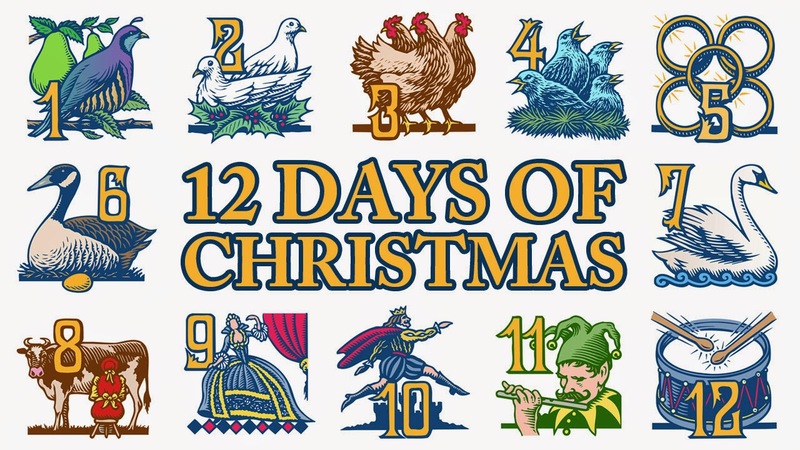 Christmas lasts twelve days... until January 6th. (Click here for more information on that.) After the long and sober season of Advent, the celebration of Christmas takes over, and one day is simply not enough for all the partying we must do. Just as we fasted and mourned our sins during Advent, so during the season of Christmas, we feast and celebrate our redemption from our sins. When Jesus came, everything changed for the better, and our celebration during this season should reflect the great joy the coming of Christ brought and, when He returns, will bring. Don't Throw that Tree Away yet! When I was growing up, the tree went down as soon as we had time and energy to get the ornaments off. (Who am I kidding: It was Mom who did all the work here!) Let me recommend that you keep your tree up and lit from Christmas Eve all the way to Epiphany (Jan 6). Do Some Special Each Day of Christmas: In our house, we open a present every day of Christmas. The plan (when it happens) is to have morning prayer together and then open a present and sing a Christmas carol together. (This year, we haven' sung much since our voices are all phlegmy from colds). If you don't do a gift a day, you could each a special dessert after dinner each night, or have a family activity each morning or evening. Doesn't matter what it is, but mark the occasion with something your family will enjoy and that is reasonably do-able for you this time of year. Embrace the Christmas Triduum: There are three lesser known holidays (triddum means something like "three days") following Christmas Day that help put the celebration of Christmas in its proper perspective: St. Stephen's Day, St. John's Day and Holy Innocents I've found that keeping these holidays during Christmas lifts my perspective up from the hustle and bustle of Christmas. St. Stephen's Day reminds me of the cost of following Jesus. St. John's Day reminds me to seek the glory of Christ and to trust Jesus plan for my life. Holy Innocents reminds me, as I am in plenty, that many innocent children, born and in the womb, are abused and helpless, enduring murder and evil beyond my comprehension. You can find the prayers and Bible readings associated with these days here and a description here. Look for Opportunities to Serve the Poor: There are plenty of places you can volunteer in our area, but one thing I've done is kept food, some clothes in my car and looked for opportunities to give them. If no opportunity occurs after a few days, I drop the clothes off at a shelter or food pantry. I know at Good Shepherd we have been gathering coats for the Sudanese woman in High Point we are connected with. This Advent at Good Shepherd we've been talking a lot about hope: anticipation and looking forward to the coming of Christ. But even though hope has been our focus, it has also been a heavy season: the reason why we look to Christ for hope is because we ourselves are hopeless without Him. 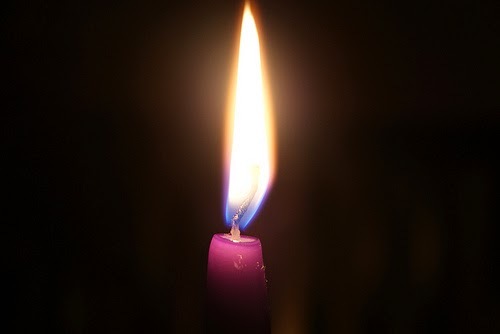 Advent is a season where our human weakness, brokenness, and sin are emphasized, and in light of these dark realities (and in much of life in general) we need encouragement. But where do we go for encouragement? When you get knocked down in life, how do you encourage yourself? This is an immensely important question, the gravity of it cannot be overstated. Why is it so important? Because the scripts (spoken or unspoken) that we use to encourage ourselves tell us where our hope lies. And what we hope in (and what we hope for) shows us where our heart is, where our true devotion is. (Luke 12:34; Matt 6:21) And if our hope, our devotion, is in anything but the One True God, the Father, the Son and the Holy Spirit, then we are full of false hope. Nothing is more bitter to the human soul than false hopes. So, let me ask: What do you say to yourself to encourage yourself? "I'm sure everything will be fine." — This is blind optimism... if it doesn't ask "Why will it all work out? How?" This is a tactic that only works in prosperous regions of the world or for those who have little-to-no responsibility. "I can handle this." or "I'm really fine." — This is self-righteousness and self-reliance and works only some of the time for some of us. 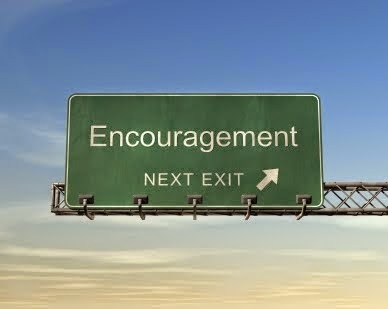 Strong-willed and able people gravitate to this strategy of encouragement. The "churchy" version of this false encouragement is: "God will never give me more than I can handle." This oft-quoted proverb is not found in the Bible, nor is it consistent with how God works with us. "Well, I know things are tough, but at least I have my ______ (e.g. "health, family, job, etc.") — This is idolatry. Again, like self-reliance, this will only work some of the time for some of us. For what happens when our family or health fail? If our job is lost, etc.? I have encouraged myself (and still often do) with anyone of these methods. Most of the time I do it unconsciously. (Just ask my wife how often I mess this up!) Never does it really satisfy. But what does real hope, real encouragement look like? Here's a few ways to walk in "gospel" encouragement... and let me tell you, this is where real life is found. Rather than just saying "It'll all work out" say, "God will work all things together for good for those who love him and who are called according to his purpose." (Romans 8:28) — God is the source of good outcomes, and his definition of "good" is very different from our culture's definition. Rather than saying "I can handle this," hold onto these words "Abide in me and you will bear much fruit. For apart from Me you can nothing." (John 15:4) and "My power is made perfect in your weakness." (2 Cor 12:9) — God is the source of our strength (2 Tim 2:1; Prov 3:5,6), and even our own ability to work hard and to "get back up" is his power working in us (Philippians 2:12-13). Our hope cannot be in ourselves, even when God is working in us. Rather than saying, "At least I have my ____," say "Since I have God, by his grace, I have everything." (Psalm 16:11 "...at your right hand are pleasures forevermore.") — God is the greatest gift/thing/person we could ever "have." He is the source of all pleasure and any good thing, and if we had nothing but Him, we would have all we need. Pondering this truth for a bit will blow your mind. Rather than ignoring our sufferings, we can say to ourselves: "God is at work in this suffering for good!" (See Philippians 2:13; Romans 8:28; Rom 5:1-5; 2 Pe 1:3-15) — God is always, even in the worst situations, for the good of his people. We can face suffering head-on, small or big, knowing God uses it like a tool to make us more holy. Avoidance shortchanges us the opportunity to see God at work. One friend of mine always says that we need to preach the gospel TO ourselves. When we need encouragement, we need to go to the real good news. So, may God give us the grace, in the dark times or even just in the small moments of discouragement, to be able to say: "Because of God's grace in Christ, I know God loves me. Because of God's grace in Christ, I know He is working in me. Because of God's grace in Christ, I know all will end well." (Titus 3:5-6).